Move the Earth's crust at various locations to observe the effects of the motion of the tectonic plates, including volcanic eruptions. 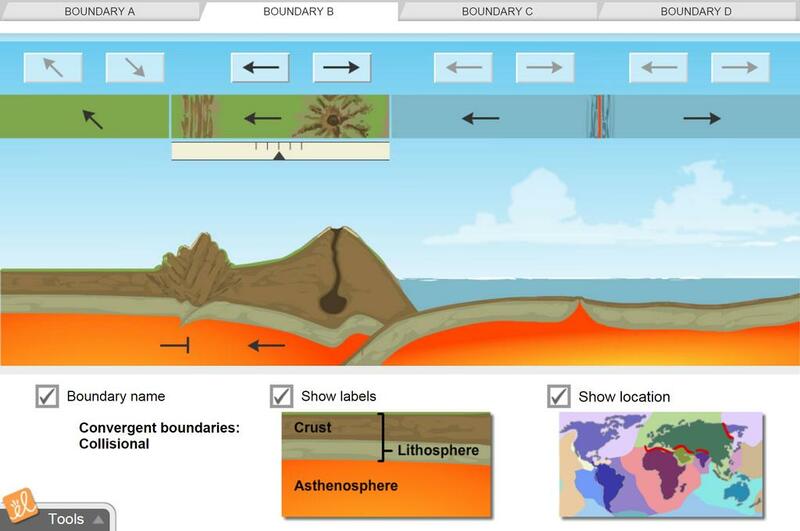 Information about each of the major types of plate boundaries is shown, along with their locations on Earth. I squeezed this Gizmo in to three pages, and added a conclusion asking students to summarize the 4 kinds ... (more)of plate motion. I updated the names of the boundaries to include those used in the new text books (subsidence zones aka convergent boundaries) and I gave an explanation for "birds-eye" view. Use this GIZMO to help students make sense of current events. In the last ten years, the world has seen t... (more)he power of plate tectonics in the form of powerful earthquakes, tsunamis, volcanic eruptions and newly discovered hydrothermal vents. Connect all of these major geological phenomena in 1 lesson. This gizmo helped the students apply the knowledge hands on to the class notes taken in class. This helped my lower level students the most! My students found this visual better than any explanation I could give them. They love Gizmos! Wonderful tool. Easy to use for all types of learners.